Yong tau foo lovers! 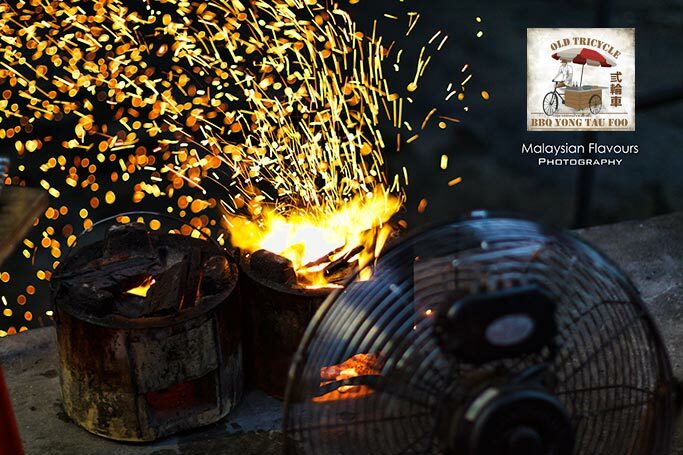 You can now have a more lively Yong Tau Foo experience with Old Tricycle at Taman Desa KL, when they put your Yong Tau Foo into barbecued, flame-grilled way! 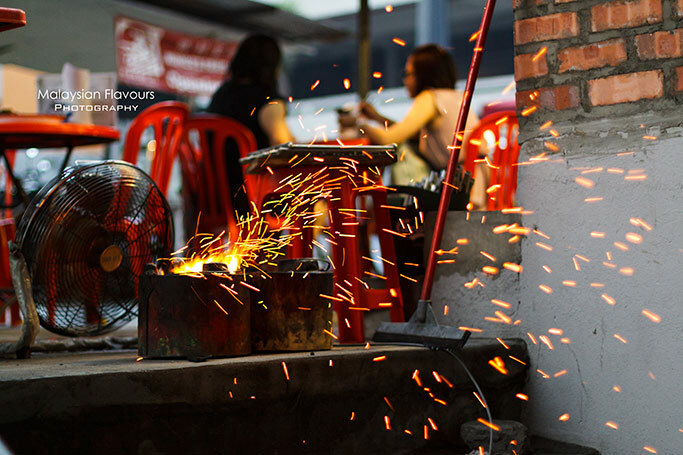 Old Tricycle BBQ Yong Tau Foo is actually originated from a humble yong tau foo stall named Choon Kee, which has been operating its business in Pudu for more than 55 years, and popular for their delicious homemade Yong Tau Foo, well loved by locals around KL and Klang Valley. 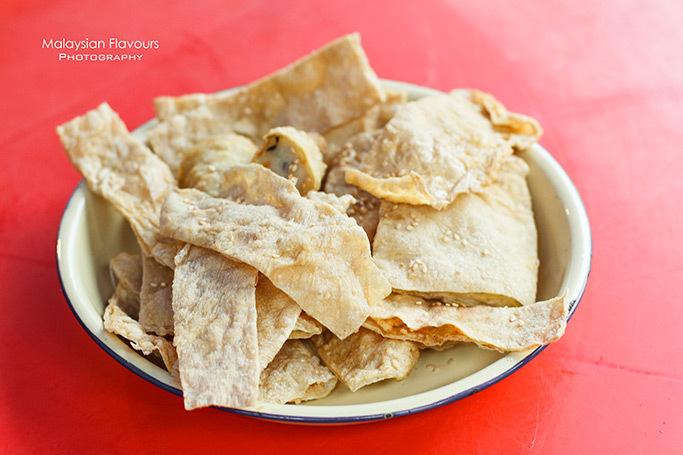 Their recipe is brought over from China by Mr. Siow Kim Choon, the founder of Choon Kee, who hails from Tai Pu. 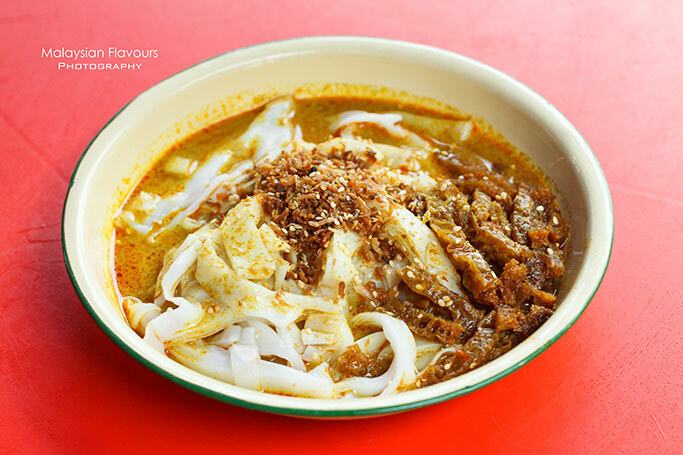 Response from locals on their Yong Tau Foo was so encouraging, that, after three years, Choon Kee expanded their family business into production and distribution, supplying yong tau foo to various vendors from hawkers to cafeterias, canteens, food courts and so forth. 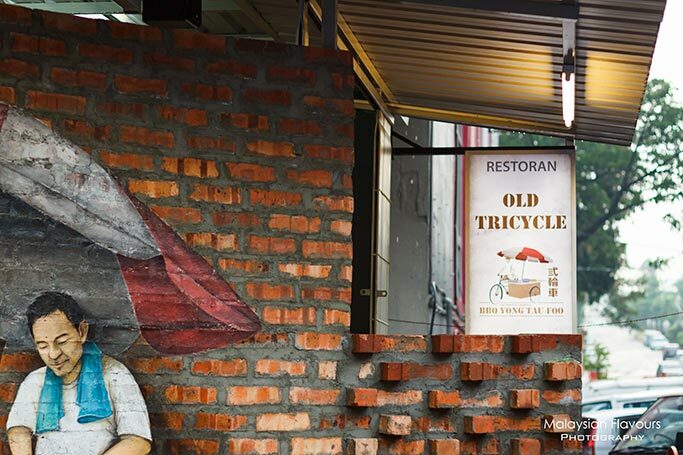 In order to further promote this 55-year-old heritage of yong Tau foo, Mr Siow has decided to launch its first outlet called Old Tricycle Yong Tau Foo , selling not only authentic yong tau foo in deep frying and soup base, but also enhanced with novel innovation- charcoal BBQ-ed. Call this dining place a hidden gem, as Old Tricycle Yong Tau Foo is tucked away in Faber Plaza, Taman Desa KL, diagionally opposite to Gerai Makanan Japanese BBQ. 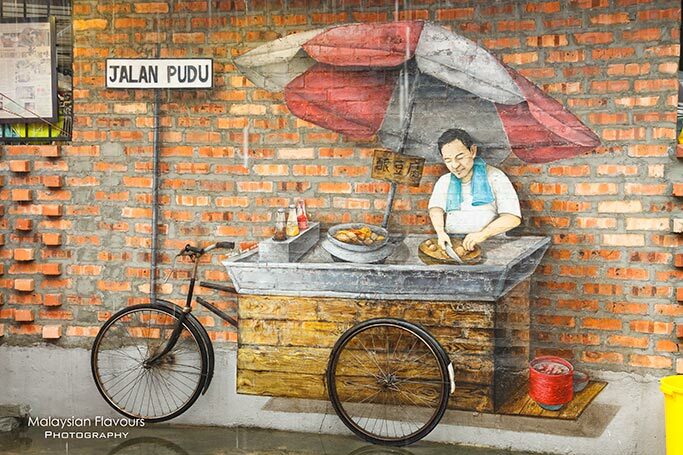 It is a small, opened-air restaurant, highlighting street food concept with old-school flavours. 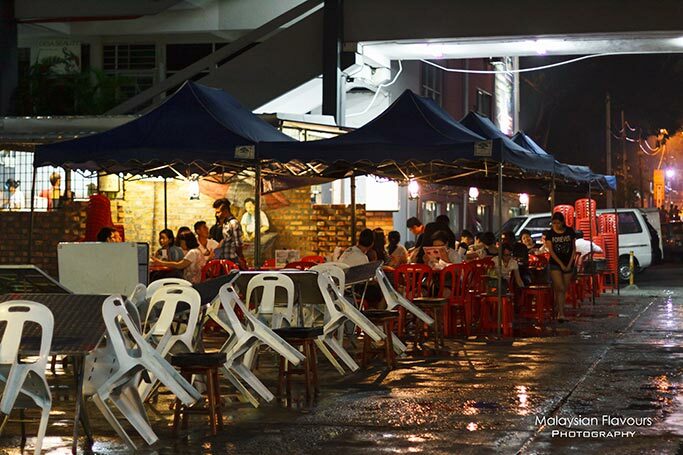 Temporary gazebos, foldable tables, plastic chairs- setup that is widely seen in Malaysia. 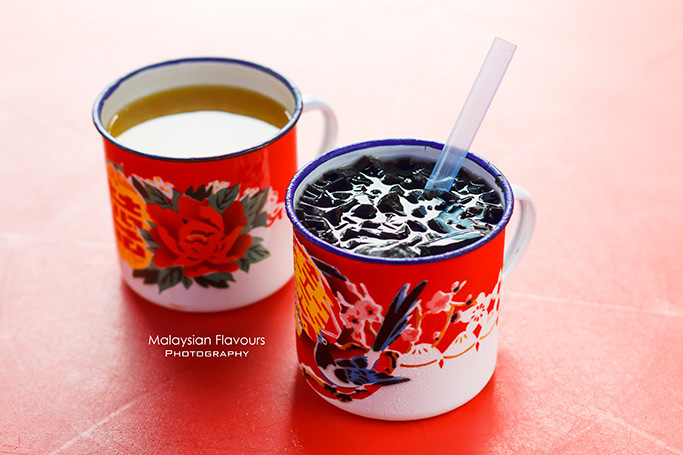 Drinks are served in nostalgic Chinese enamel mugs, filling sweet soups like beancurd barley and pumpkin barleys; chilling freezy lime juice and freezy chin chau, chrysanthemum tea, soya bean and soft drinks. We recommend pumpkin barleys, very soothing with mild, natural sweetness released from pumpkin. 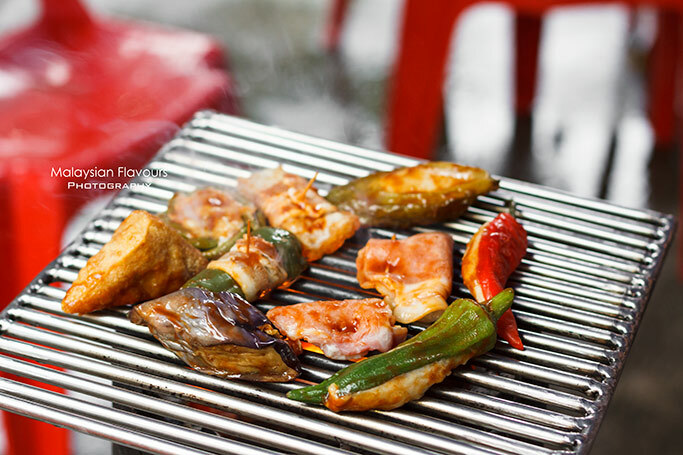 Food menu here is direct, which comprise of set menu and ala-carte choices. 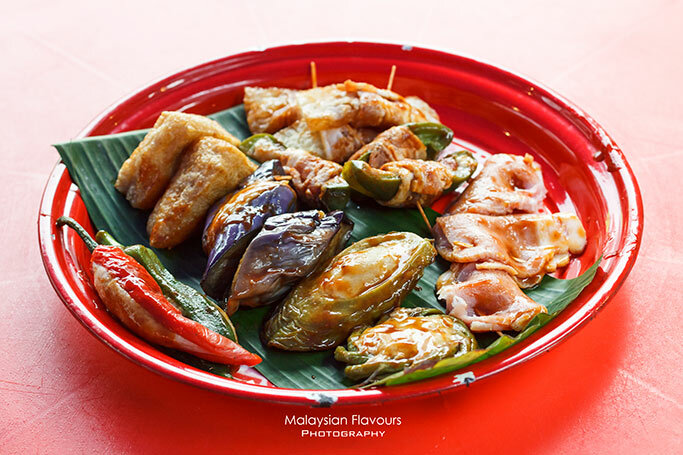 It is good to go for the BBQ Yong Tau Foo Set Menu first, as the set sum up most of the highly recommended yong tau foo all in one platter. A small set of 15 pieces is priced at RM30.00 (2-3pax), RM48.00 (4 pax) for medium set of 25 pieces and RM65 .00 (5 pax) for 35 pieces. After indulging all items in the set and discover your favourite, you can choose from the ala-carte menu, then make individual order. Get ready for charcoal BBQ! 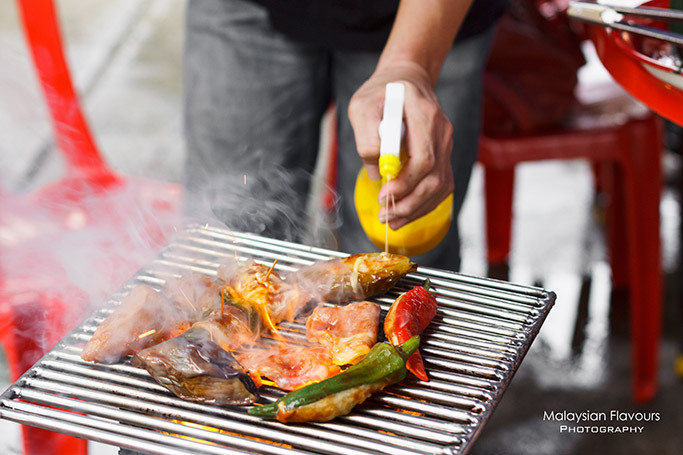 All yong tau foo for BBQ is generously slathered with smoky, savoury sauce before reaching the grill plate. Feel free to flip and turn until you get your desired “burnt” level, and we like ours slightly charred, as the burnt fragrance is irresistable. Texture wise, Old Tricyle’s Yong Tau Foo is softer, less bouncy, better if each item was stuffed with more fish paste. Needless to say, yong tau foo with stearky bacon wrap is the must have. The dripping of oil, saltiness and smoky sensation rendered from the grilling process of bacon clocks in extra guilty pleasure that pairs perfectly with the filling. Be it Stearky Bacon with Pig Skin Fish Paste, Stearky Bacon with Capsicum Fish Paste, Back Bacon with Fish Paste, Stearky Bacon with Pork Sausage, just make extra orders for all these to avoid portion fighting. We particularly like the Foo Pei, and have three servings of this. Meat ball, fried fish ball, fried dumpling, dumpling soup, white tofu are also on the menu list aside from normal yong tau foo. Rice is available too. If you were here expecting stir-fried dishes like Hokkien Mee, Wat Dan Hor, Fried Rice, you will probably be disappointed. 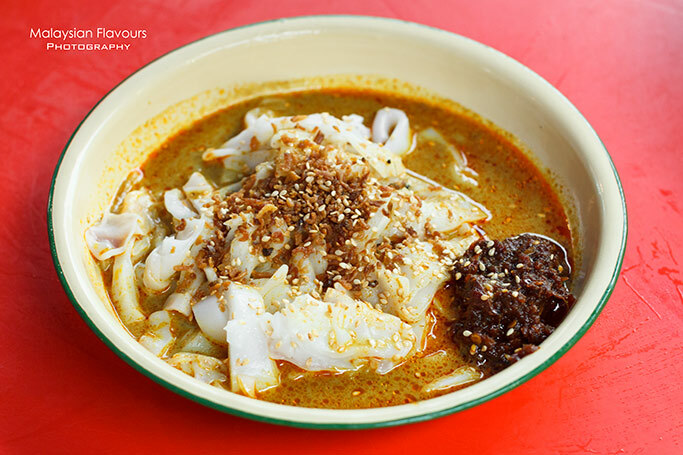 The most you will come across is 4 types of Chee Cheong Fan- Curry Pig Skin with Dried Shrimp Chee Cheong Fan, Sweet Sauce with Dried Shrimps Chee Cheong Fan, Curry Sauce with Sambal Chee Cheong Fan and Fry Onion Soya Sauce Chee Cheong Fan. Despite the limited choices, make sure you try them out, as each flavour taste much noteworthy than we expected. 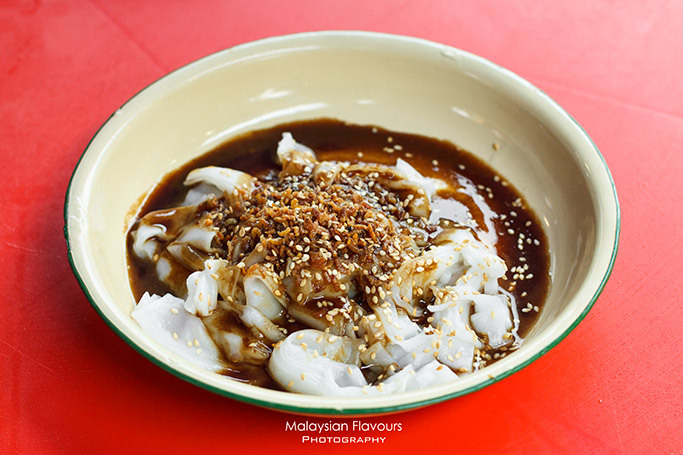 Sticky sweet sauce pleasantly flavour up the plain, chewy chee cheong fan, topped over with crispy dried shrimps, dotted with toasted sesame for extra chew and aroma. Summergirl’s top pick. When a pale dish is showered with a bed of flavourful, creamy, and rich red hot curry broth, the taste is immediately heightened up, stimulating the appetite with its spicy kick. Exactly the same for this plate of chee cheong fan. The sambal is not shadowed too, prides for its extra fiery hot flavour that numb the palate, yet addictive. A very simple, homey version of chee cheong fan that nonetheless bring most satisfaction to Summerkid. 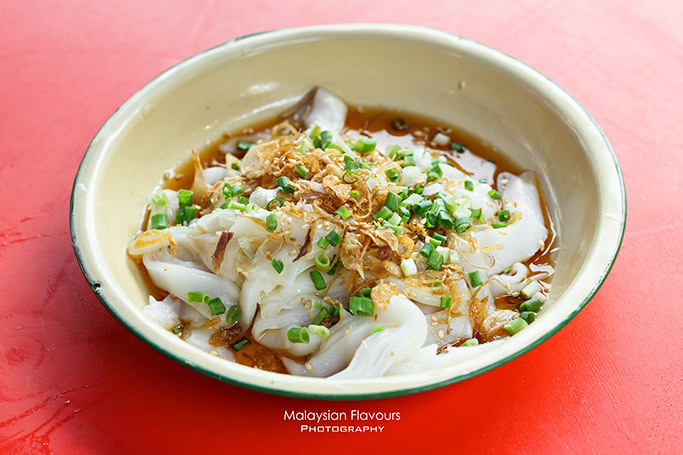 The light soy sauce smoothen the chee cheong fan, allowing it to slip down the throat easily. Further touch up with crispy, aromatic fried onion. 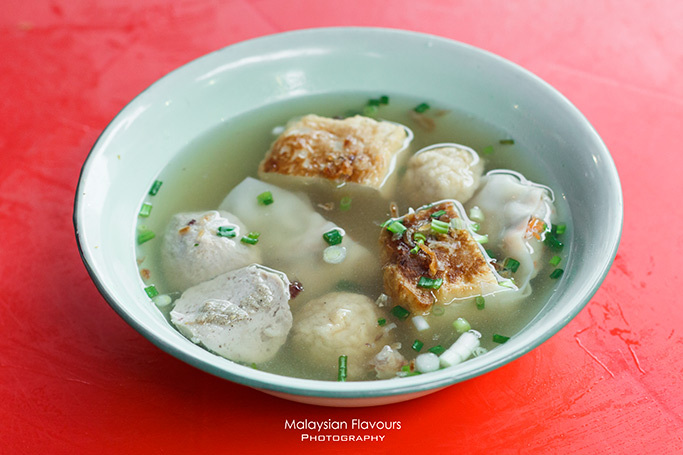 While BBQ Yong Tau Foo steals the limelight in Old Tricyle, you can still order a bowl of nourishing, comfort soup base yong tau foo with your choice of items like fish balls, dumplings, fish paste stuffed in long beans, beancurd, brinjal, mushroom, chilli, lady fingers, etc. 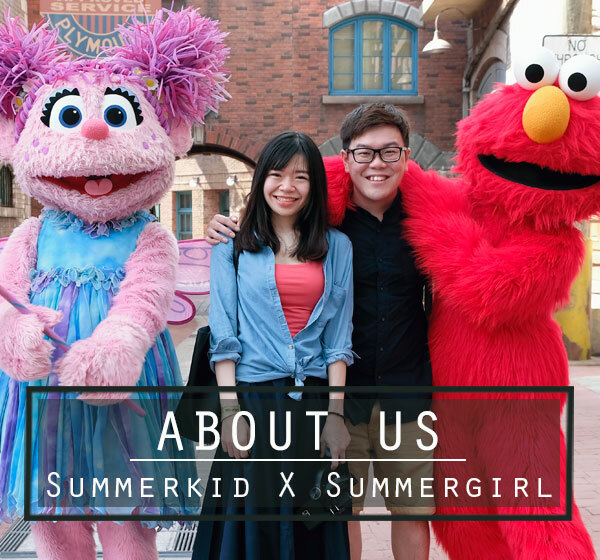 Tq u for blogging on Old Tricycle.